Birding and bird hide photography in Eastern rodopi mountain are fantastic. On a very small area you can see most birds of prey observed in Bulgaria. Amongst the highlights are Egyptian vulture, Griffon vulture, Black Vulture, Golden eagle, Black kite, Long-legged Buzzard, Short-toed Eagle, Lesser Spotted Eagle, Levant Sparrowhawk, Eagle Owl, etc. The area is one of the major paths for migratory soaring birds with over 5000 birds of prey and over 37 000 White Storks. A week in the area in spring time (March-June) can result in about 150 species. 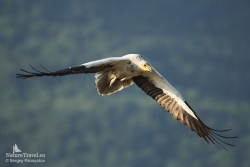 Madzharovo is the only one place in Bulgaria where you have a chance to photograph three vulture species - Griffon vulture, Egyptian vulture and black vulture, Golden eagle, White-tiled eagle and Black kite, possiblilities for buzzards, wolf and fox. Time to go to the hide - 40 min. (15 minutes off-road) from the hotel with 4x4 vehicle. In the hide is also bed for two persons, chairs with height adjustment and panoramic windows with dimensions of 0.9 x 0.35m. Dark clothes are required. The most suitable lenses - 400 - 500mm. Excellent opportunities for flight shots of landing birds. The diverse relief composed of rock complexes, rocky screes and land determines the mosaic distribution of trees, bushes and grass. The arable land is located mostly on the higher grounds of the valley. Among the animals here can be seen: great toad, European blind snake, Turkish sand boa, Hermann’s and spur-thighed tortoises, rufous-tailed rock thrush, rock nuthatch, peregrine falcon, wild cat, hare, wolf, wild boar et al. The area is globally significant as a representative site of the Mediterranean biome. Here is one of the two colonies of the Griffon vulture in Bulgaria. 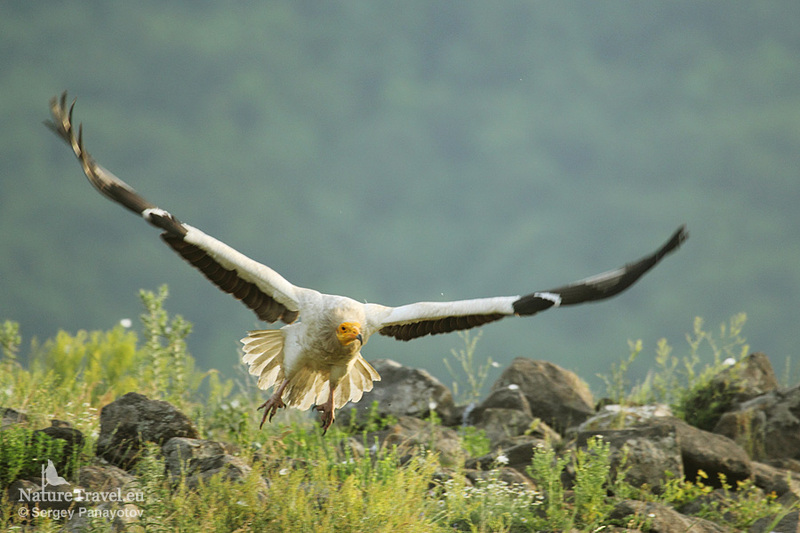 Madzharovo is among the most important sites in Bulgaria for the protection and conservation of birds of prey, in particular the globally threatened Egyptian vulture. Up to the early 1990’s the area around the town of Madzharovo was characterized with a well-developed mining industry. Today locals rely on animal husbandry and small-scale agriculture. Wildlife tourism has a big potential. About 7% of the area is protected by law under the national legislation. 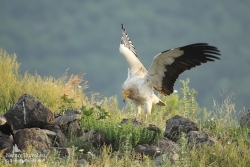 Patronka Protected Area is declared to protect the colony of griffon vultures. In 1997 the area is declared Important Bird Area by BirdLife International.